Labor Day is just around the corner, so today, thoughts about songs speaking to the end of summer come to mind. Here are two quick ones. In 1966, The Happenings, a bit of a Frankie Valli and The Four Seasons sound alike group, did a song called See You In September, which peaked at # 3, and stayed on the charts for 14 weeks. 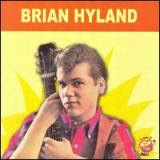 Brian Hyland is another 1960's AM Radio star associated with summer time. He first hit the airwaves in 1960 with Itsy Bitsy Teenie Weenie Yellow Polka Dot Bikini, decidedly influenced by the rise of the surfing culture. Hyland recorded for a number of years, charting as late as 1969 with The Joker Went Wild, at # 20. (AOL video, could be slow to load). But this week's video clip will come from 1962, a song that topped out at # 3, Sealed With a Kiss, a definite end of summer love song. 2 Minutes and 26 Seconds...ENJOY ! Our monthly roundup of supply and demand, as briefly as possible. Demand continues at such low levels that inventories remain near record highs. Prices need to decline further. ...the most leading of indicators, again suggests extensive weakness in future construction activity dropping 41.42% nationally as compared to July 2007 and an astonishing 63.95% since the peak in January 2005. New Home Inventories, (PDF): For a while now, the data here has shown the raw number of homes for sale declining. However, with demand dropping at greater rates, when inventories are expressed as "months' supply", there is little or no improvement. Current supply stands at 10.1 months. Existing Home Inventories: (Chart Source): Existing homes are 85% of the market and, an check in at, 11.2 months' supply, inching upward to the all time record in 1982. New Home Sales, (PDF): 35.3% less than last July. Many news outlets reported an increase in sales based upon downward revisions of the previous month. Money CNN does a good job at sorting it all out. Basically, it was the worst July since 1994. The sales rate of 515,000 units needs to be compared with the levels for 2005 and 2006 which finished at 1.283 million and, 1.051 million respectively, a decline of around 60% from the peak. Existing Home Sales: 13.2% less than last year. The median existing-home price was $212,400, down 7.1 percent from a year ago when the median was $228,600. The pace of 5 million units compares as follows; for 2004, 6.778 million, for 2005, 7.076 million, and for 2006, 6.478 million. That's around 41% less than the peak. From The Wall Street Journal: Inventories remain too high for current prices to reduce them to normalcy any time soon. Foreclosures are running at such high levels, inventories will likely increase. 29% of Americans who purchased a home within the last 5 years are now in negative equity signaling more potential inventory. Mortgages are more expensive and less accessible than two years ago. Until that changes, I wouldn’t expect real, measured improvement. The initial forecasts are out for fall colors. Things are stacking up favorably for some vibrant colors, and for much the same reasons as last year, the ongoing drought. It is no secret that a lack of rainfall is a stressor for trees, it's just that one of the side effects of this stress is usually early and brilliant fall colors. The drawback for leaf seekers is that the colors will not last as long. They have not yet begun updating for 2008 as yet, but you can stay in touch with the emergence of Autumn via The Fall Foliage Network, or right here on our blog for more hyperlocal commentary and slide shows. Drought or not, it is the times before June 15th, and after August 15th that are best to visit here. Check out our top five reasons why this is so. Hope to see you soon. The New York Times discusses how it is that rising costs for gasoline and other essentials are actually boosting the market for second home rentals. At first blush, this may seem anomalous, but the explanation makes sense. Also, people are now beginning to divert their vacations to more local spots where rental homes are an option. Confirming the idea that folks would be staying closer to home is a Rand McNally survey released in May reporting that, "two-thirds of Americans planning road trips this summer are either altering their plans to shorten their trips or canceling altogether." "We’re seeing a tremendous drop-off beyond a six-hour radius. With fewer visitors from Florida, the Gulf Coast, the Northeast and the Midwest, we’ve been having to rely on the visitors from Raleigh and Charlotte,” said Julie Hanser, vice president of attraction marketing for the Biltmore Estate. And For Second Home Rentals? To say locally whether this convergence of factors has boosted second home rentals is difficult. Information that is more than anecdotal is not easily obtained, but the NY Times article cites significant increases in web traffic for various vacation rental websites. After brief summer hiatus, let us get back on top of a few local items for those interested. The French Broad River, is both ancient, and our largest waterway here in the mountains. Recent water levels there are only around 15% of normal for this time of year. This is the lowest level since record keeping began in 1895, and the majority of Western North Carolina is now in the exceptional drought category. The City of Asheville is not under any current water restrictions, and by most reports appears to have adequate resources. In Madison County, we have only three incorporated towns, meaning that the majority of homeowners get water from private wells or springs. There have been no reports of any troubles with this type of arrangement, or with community water systems in subdivisions. In The Town of Marshall however, one of its wells went offline last week, prompting a flurry of meetings and measures. The town has two wells in reserve, and a proposal to drill a new well in the works. Here is a brief look at neighboring towns and counties, who all seem to be coping well. Pun unintended. Water and tourism are inextricably mingled here, with the popularity of fishing and white water rafting. Around 500,000 people raft somewhere in Western NC in a typical year. There are still good white water adventures left in the region. Go here for a complete explanation, and a rundown of the five rivers closest to Asheville. Or, just eliminate water dependency from your plans, and take advantage of the more than 2,000 miles of hiking and biking trails in the region. Isaac Hayes died on August 10, 2008. The main things that get mentioned about him are of course, Shaft, (1971), the Academy Award winning song and the film. He was also the inimitable voice of Chef on the more recent and raucous South Park. In fact, Hayes made huge behind the scenes mark in music some years before Shaft, and decades before Chef was born, while working at Stax Records in Memphis, TN. The Stax label is often lumped in with its more famous cousin, Motown, as American soul music. But it was Hayes, with longtime collaborator David Porter, and Booker T and the MG's who formulated what would be known as Memphis Soul on Stax. To realize his impact, before we knew who he was, consider just a few the songs that he wrote such as, Soul Man, Hold On I'm Coming, and I Thank You, all by Sam and Dave.